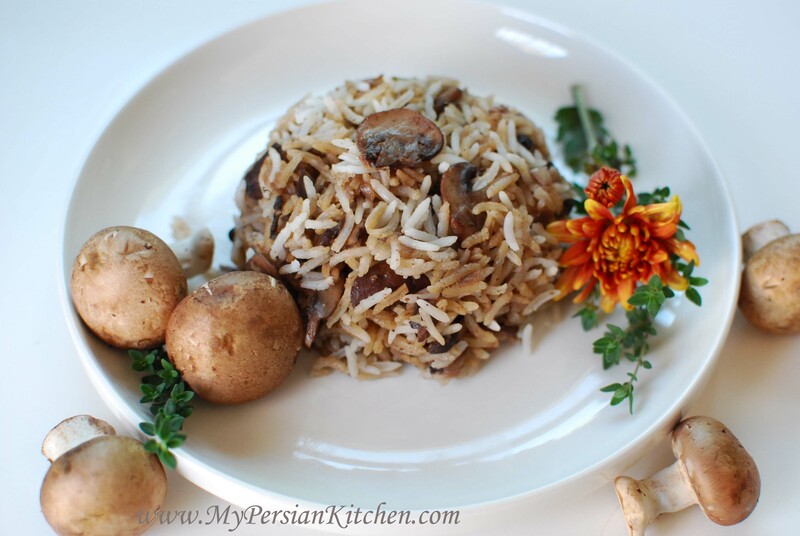 A few years back I had this delicious Persian rice made with mushrooms. It was something that I had never had before and since I love mushrooms, it absolutely loved it. 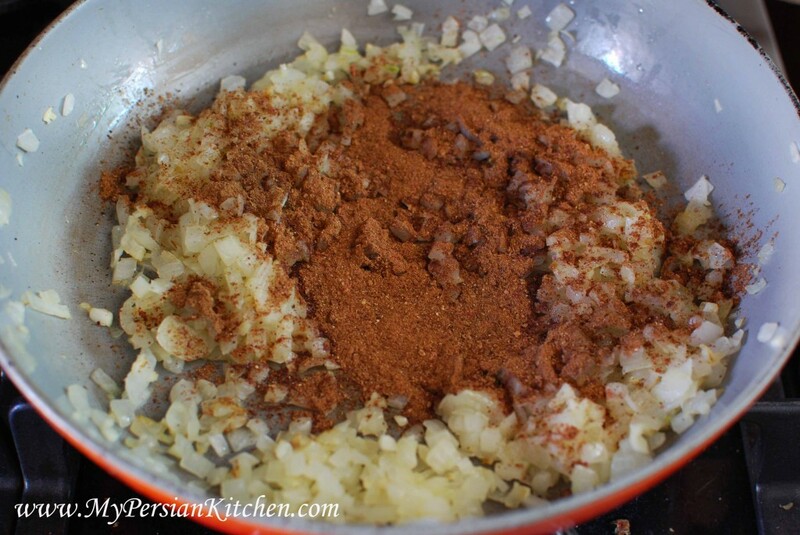 I looked up the recipe just recently in my Persian cookbook and found one recipe for it. However, the recipe was much different than the actual rice I had had. Today’s post is a replication of the recipe that I fell in love with. This rice dish is on the mild side. The flavors are very earthly and subtle and I personally love it! 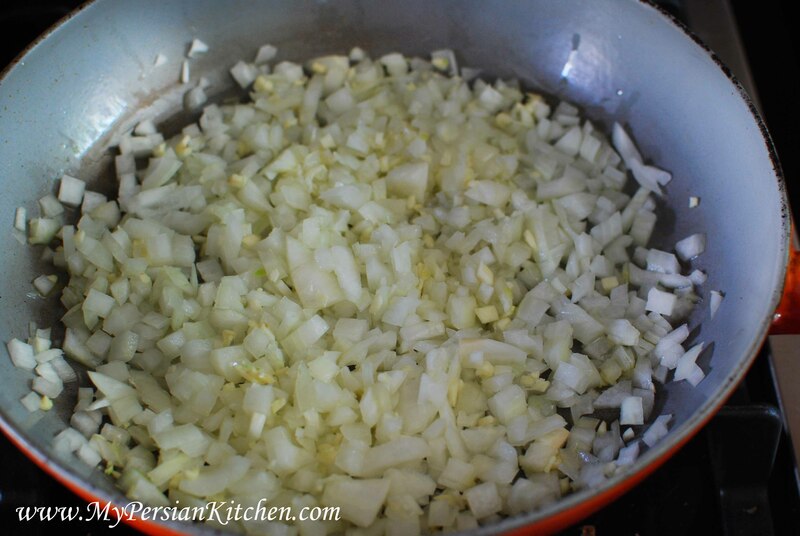 Saute onion and garlic in a bit of oil until translucent. Add Advieh and give it a stir. 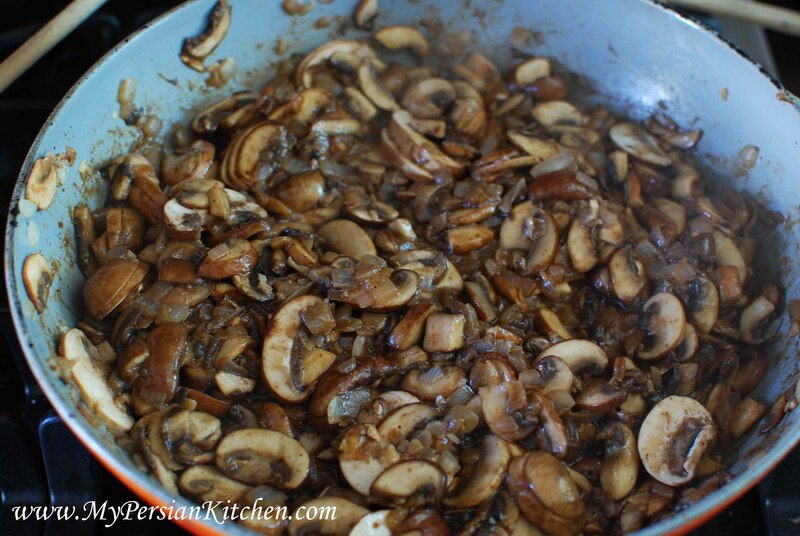 Add sliced mushrooms and cook for about 5 minutes uncovered. 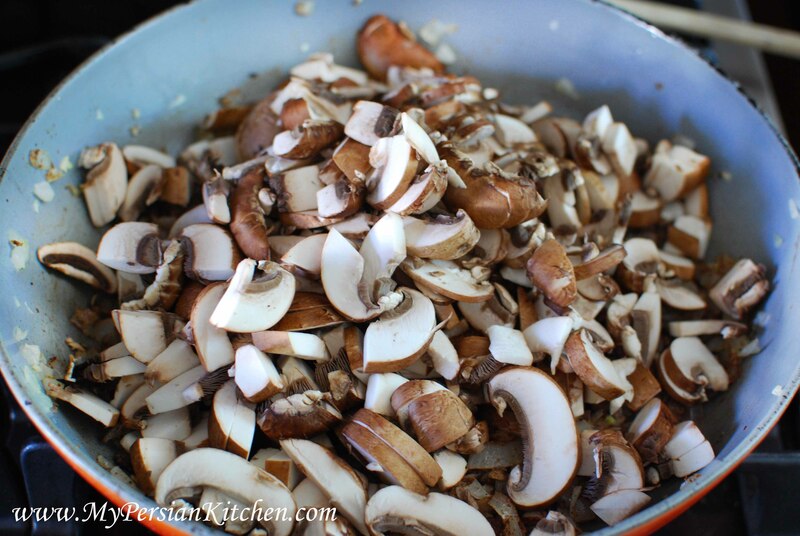 Make sure that the mushrooms are not too juicy. Allow for the liquid to reduce until there is a thin layer of juice. Begin layering rice by adding a couple of tablespoons of canola oil to the bottom of a nonstick pot with a 1/4 cup of water. Shake well then place one layer of white rice on top. 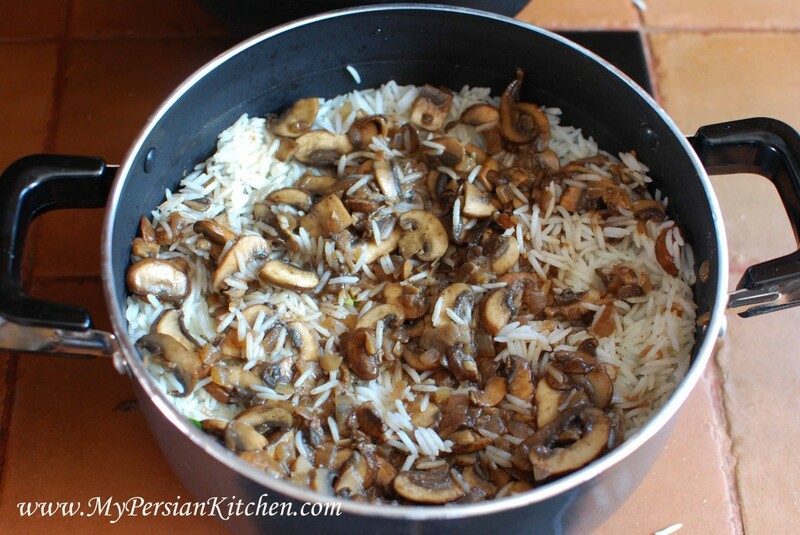 Place a layer of mushrooms followed by another layer of rice. Finish off with a layer of white rice. 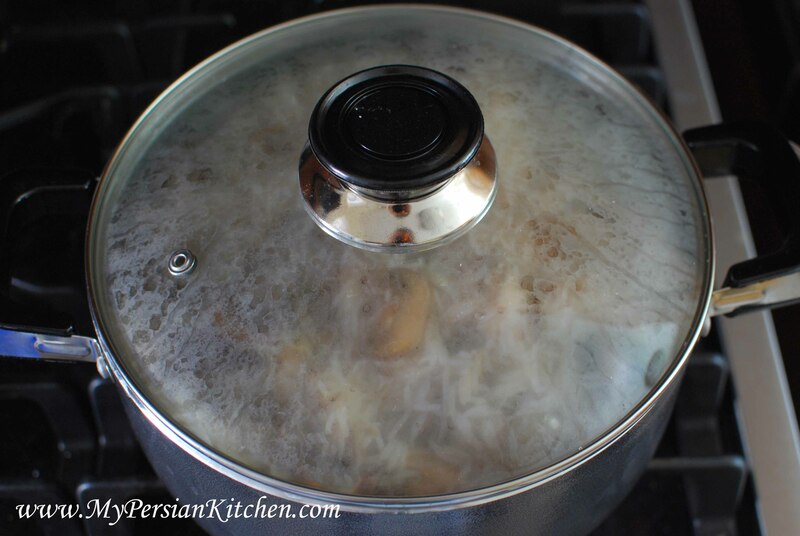 Cover pot and cook on high for 10 minutes. 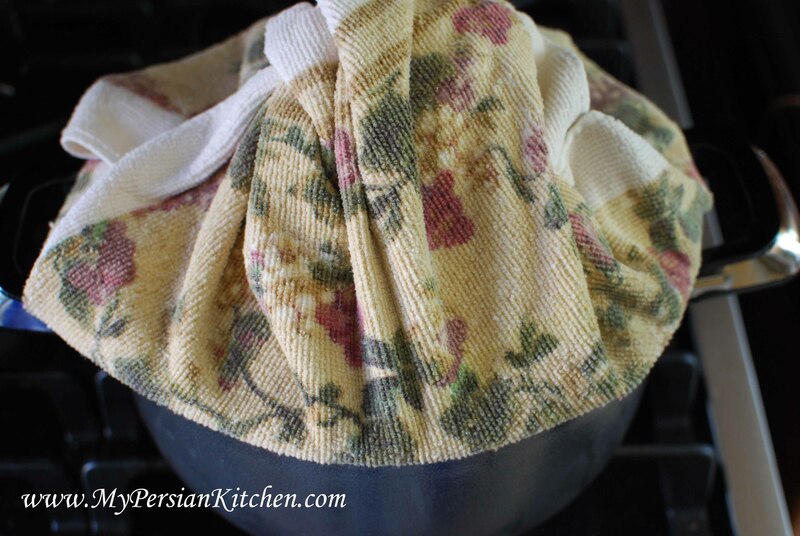 Then place lid in a towel, cover rice, lower to low, and cook for 1 hour. This rice can be served with Braised Chicken Thighs with Bay Leaf. Alternatively, the chicken can be also layered within the rice. Very interesting, Sanam you are on the cutting edge of Persian Cuisine!Did you know there is Michelin rated Iranian restaurant in Manhattan? Iman, thanks! Had no idea about the Michelin rated Iranian restaurant. What’s it called? Wow this looks really delicious. I’ll definitely try it with Braised Chicken Thighs with Bay Leaf! Thanks for sharing your recipes!! God bless!